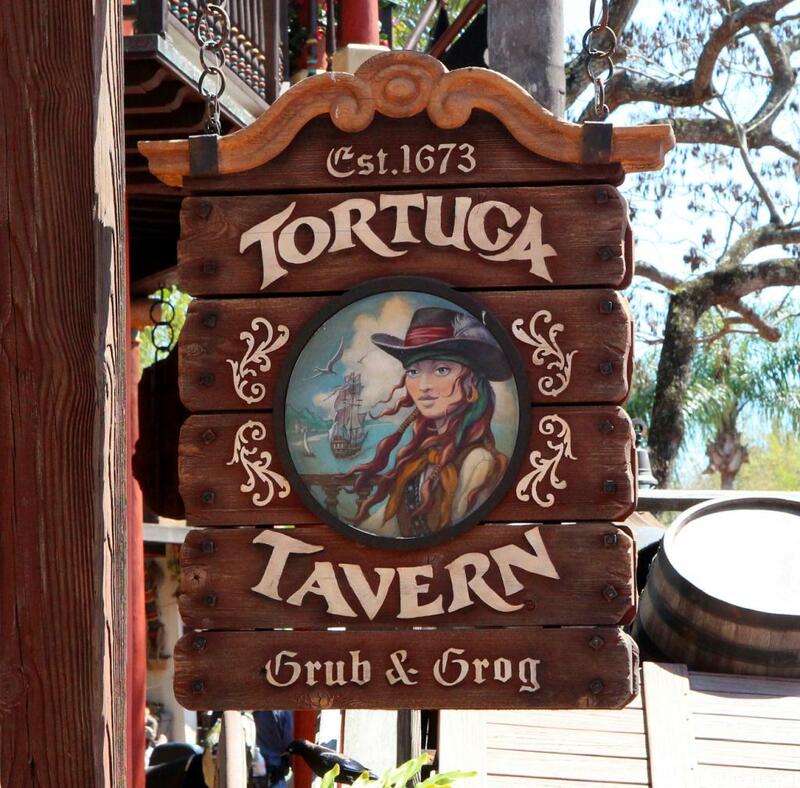 A seasonal counter service spot, just a stone's throw from Pirates of the Caribbean, that features a menu with a Mexican flair: tacos, burritos and nachos are some of its items. Decor is reminiscent of a dimly lit, old pirates' pub. The interactive game "Sorcerers of the Magic Kingdom" has a stop right inside this restaurant.